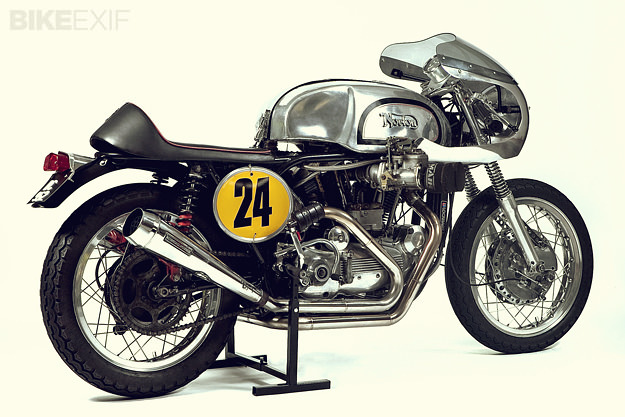 Sportster Cafe Racer Mashup: Is it a ‘Sporton’ or a ‘Norley’? 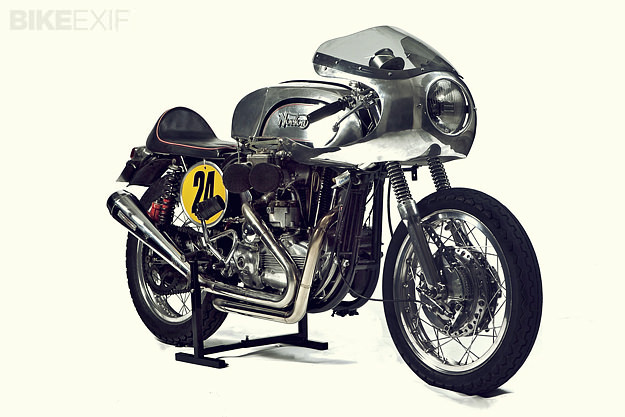 Kuala Lumpur, capital of Malaysia, is not where you’d expect to find a 1960s-style cafe racer. But this Sportster-powered machine would look right at home in the parking lot of London’s Ace Cafe. 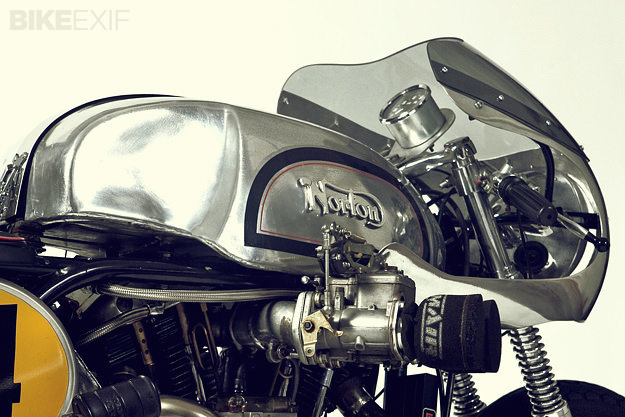 It belongs to enthusiast Faizal Yusop, who’s crammed a modified 1969 Ironhead motor into a Norton Featherbed Wideline frame. Which makes it both a ‘Sporton’ and a ‘Norley’, I guess. The specifications are truly impressive. 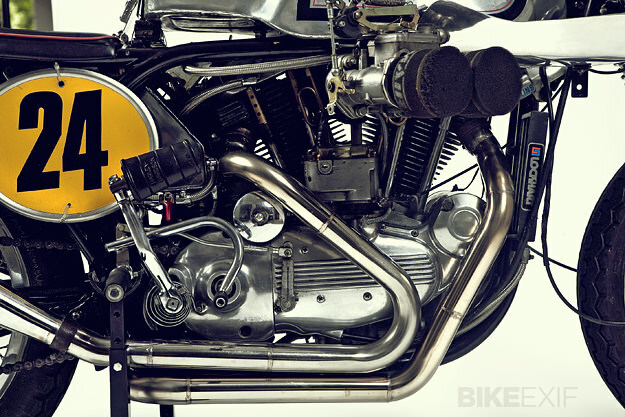 The Sportster engine has been bored oversize, and treated to big valves, uprated conrods and high-compression pistons. It’s also running an Andrews street/drag cam—a ‘Y’ grind with .425 of lift. 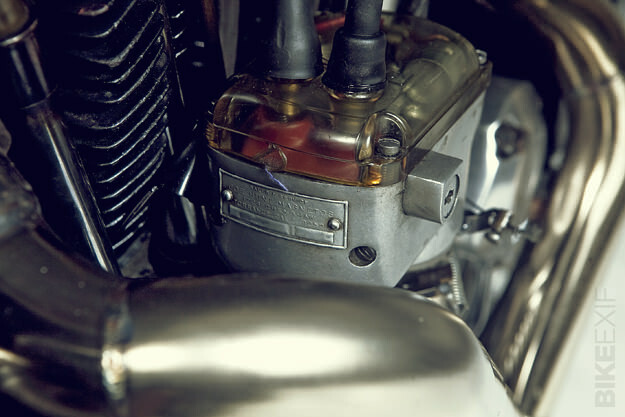 The engine is now fed by a classic Weber 40 DCOE racing carb and breathes out via a Dunstall two-into-one exhaust system. Spark is courtesy of a Joe Hunt Magneto with a manual retard/advance lever. Other top-shelf components include 18-inch alloy Borrani rims, a handcrafted alloy Norton Manx five-gallon fuel tank (and central oil tank), 4-leading shoe brakes and Tommaselli hand controls. 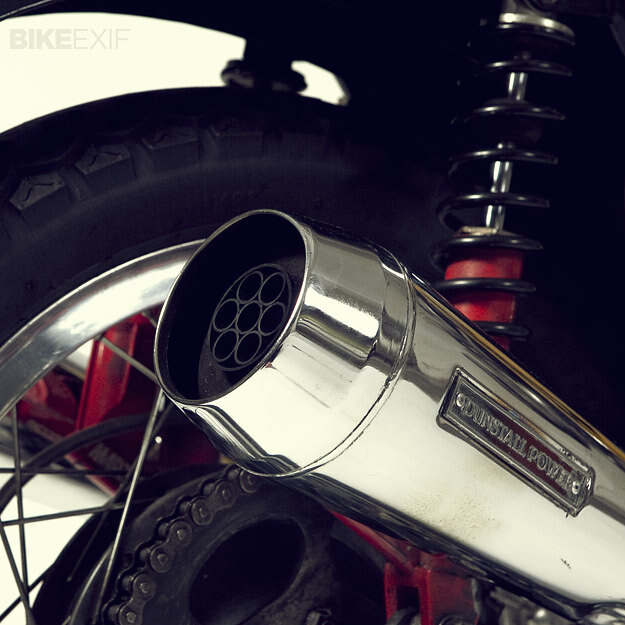 As befits a true cafe racer, weight has been kept to a minimum—a mere 180 kg (just under 400 lbs). I’m not sure what the roads are like around Kuala Lumpur, but I hope they’re good. This machine must be an absolute blast to ride. Thanks to fellow members of the Mug Town Rockers, Ohio USA. A big pat at the back also to Pak Lah, Awe and Ramli Norton and also the original members of the Brit Iron Brothers Kuala Lumpur.